Deputy Chief of Staff of the Iranian Armed Forces Brigadier General Ali Shadmani said Iran is among the top world states in the defense sector. “We now have a dynamic and modern industry that is moving ahead; we may supply our needs from friendly states, but we basically believe that our deterrent power should be based on a home-grown technology,” General Shadmani told FNA on Saturday. “In area of defense, science and technology, we are among the top world nations,” he added. He further noted the history of Iran’s need to the sophisticated Russian S-300 missile defense shield, and said there was a time when Iran needed the system a lot, but it has already designed and developed a home-grown version. “Air defense is categorized into low, mid and high altitudes, and we used to have unequal capabilities in these three levels and had some shortages in certain levels both in terms of radar and warfare systems; hence we had to either produce or purchase our needs,” the General added. Iran and Russia “share common goals and enemy, hence, we favor a powerful and mighty Russia without any dependence on the West and we don’t want it to be under the influence of the NATO and the West”. “Of course, we are developing a similar system domestically, but production is not fast enough to satiate our needs,” he added. On Friday, Iran’s Defense Minister Brigadier General Hossein Dehqan announced that the country would test the home-made version of the sophisticated Russian S-300 missile defense system, dubbed as Bavar (Belief) 373, before the end of the current Iranian year (that will ends March 19, 2016). “… we expect to be able to test the production model of S-300 by the end of the current year,” Brigadier General Dehqan told reporters on Friday. “Thank God, and thanks to the human, technical and industrial capacities that Iran has; it does have the necessary defense systems to guarantee its aerospace security,” he added. Last Saturday, Iran displayed its Bavar 373 missile defense system during the military parades South of the capital. Earlier this month, Russian President Vladimir Putin removed the ban on the delivery of the missile shield to Iran. Following the announcement, Brigadier General Dehqan said “the decree came as an interpretation of the will of the two countries’ political leaders to develop and promote cooperation in all fields”. Putin’s decision was announced hours after relevant reports said the Kremlin also plans to supply China with the advanced S-400 air defense system. In early April, Iranian Ground Force Commander Brigadier General Ahmad Reza Pourdastan underlined the country’s air defense capabilities, and said the indigenously-made Bavar (Belief) 373 air missile shield enjoys the same features of its Russian peer, the S-300. Speaking on the sidelines of the unveiling ceremony of the ground force’s achievements, Pourdastan said that supplying Iran with the Russian S-300 missiles will boost the country’s air defense power and it can hit the targets at higher altitudes. 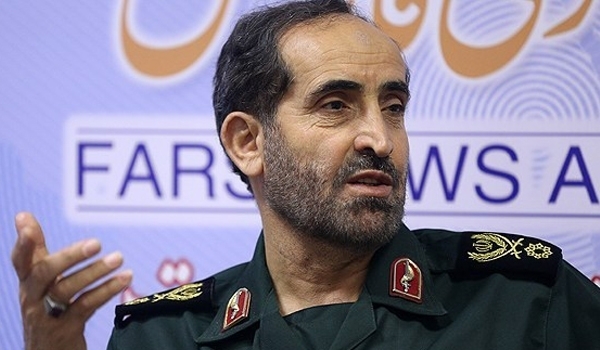 “But of course, Iran’s Air Defense Base has carried out great task in recent years, including the designing and manufacturing of Bavar 373 air defense missile system, which has the same capabilities as the Russian S-300,” the Iranian commander further stressed. In November 2011, Commander of Khatam ol-Anbia Air Defense Base Brigadier General Farzad Esmayeeli told reporters that the designing phase of the Iranian version of S-300 system had ended and the system would be developed and delivered to the country’s integrated air defense network in a matter of few years. “Bavar 373 system is an important and completely indigenous achievement that can be a powerful rival for S-300,” the commander reiterated.